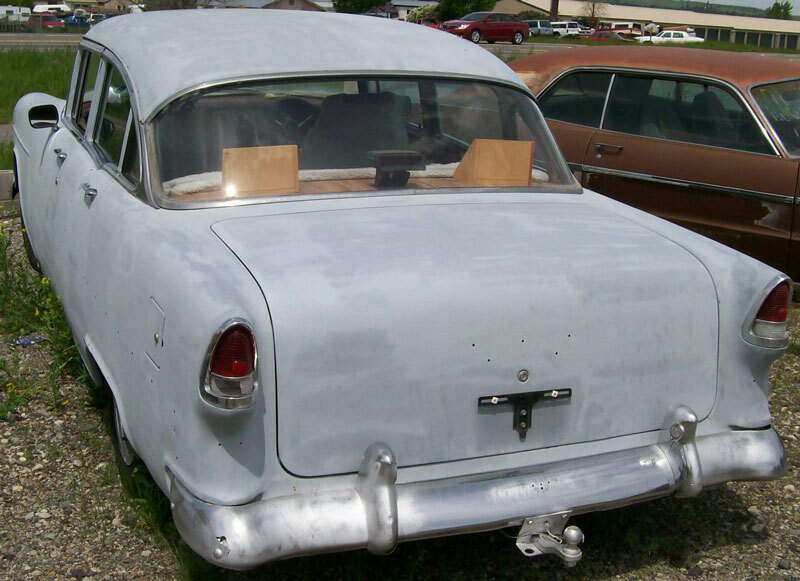 This gray primer 1955 Chevrolet Bel Air old school hotrod 4 door sedan is a complete running and driving semi-custom classic car ready to be finished or used just the way it is. The body has straight and solid western desert sheet metal. All the trim is off the car and in the trunk and it is in fairly good condition. The front headlight eyebrows have patch panels spotted in place but they have not been finished. The front right passenger door glass is broken. The rest of the glass is good. There is a rust hole in the left corner of the rear bumper. The car has a trailer hitch and trailer lights. The rear wheels are custom and the front wheels are stock. The brown and tan interior features front bucket seats and the rear seat is stock. Both front and back seats have covers. 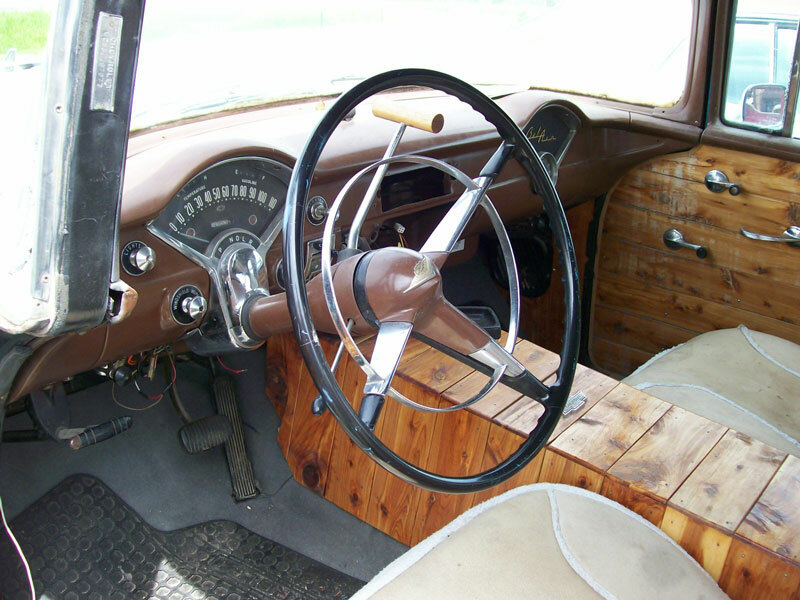 The car has a very unique knotty pine wood full length console and door panels which show some wear. The radio and speaker are missing. There are wood box speakers and a brake light mounted in the rear window deck tray. The car has an optional glove box clock. The glove box is missing and there is a home-made one on the front floor. The floors and truck bottom are solid. 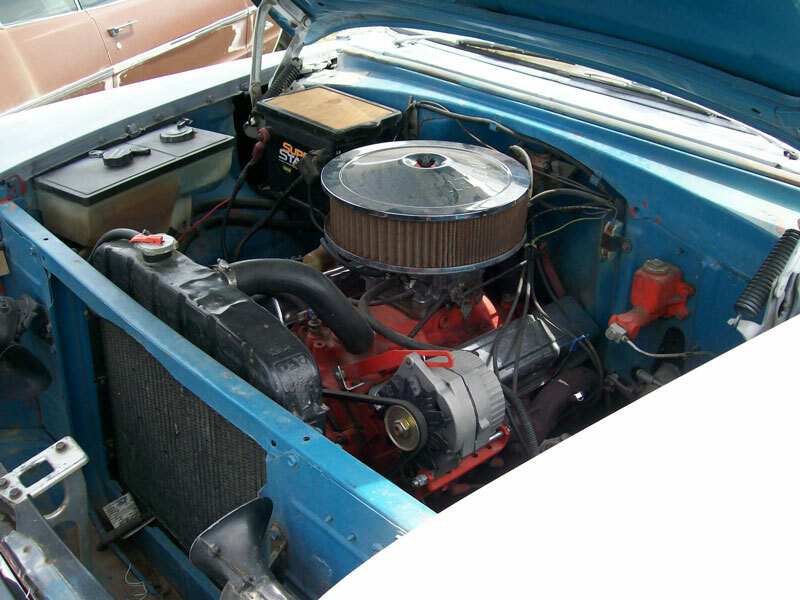 The car has a later year 350 CID OHV 4V 4 barrel V-8 motor and Powerglide two speed automatic transmission. The air cleaner is not stock. Power windshield washers have been installed. The car has regular steering and brakes. The car runs and drives well but could use a brake job. Here is your opportunity to own and drive an old school 55 Chevy hot rod sedan. 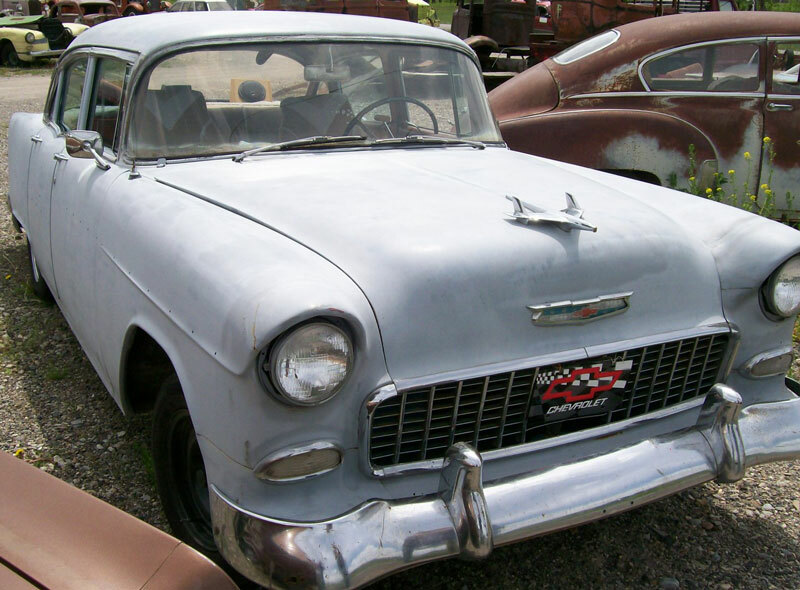 Please call (406) 318-0270 for details about this restorable classic 1955 Chevrolet project car.